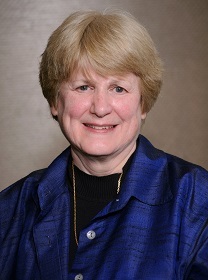 2016 Prize: Mary-Claire King, Ph.D. The Szent-Györgyi Prize selection committee was unanimous in its decision to recognize Dr. King, whose work has proved foundational to the genetic understanding of cancer. In particular, her proof of existence of BRCA1 and the identification of its location made genetic screening for breast and ovarian cancers possible. Dr. King’s discovery has led to the genotype-based breast cancer screening practice that can identify individuals who have inherited mutations in BRCA1 and give them a chance to take preventive measures at an early stage of their lives. Dr. King’s discoveries represent a fundamental step in the understanding of cancer and have changed the face of cancer prevention, screening, diagnosis and treatment. Your ticket for the: 2016 Prize: Mary-Claire King, Ph.D.